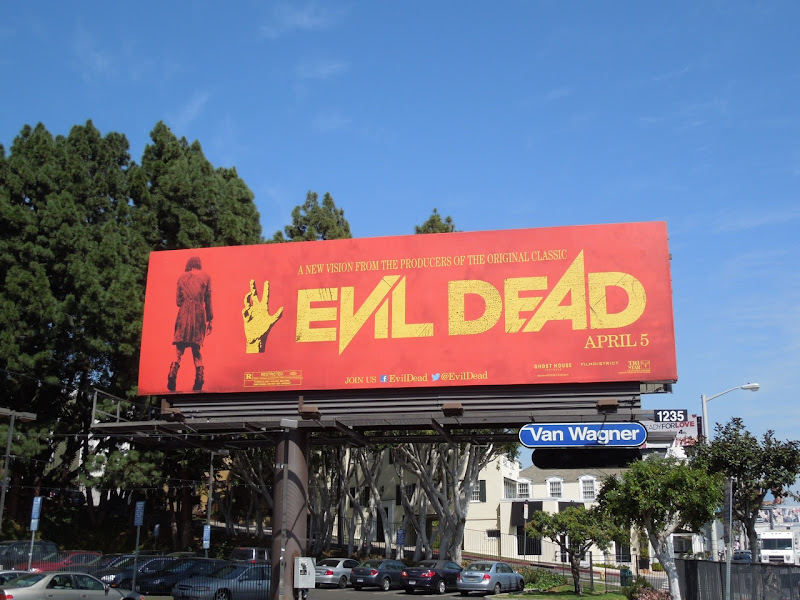 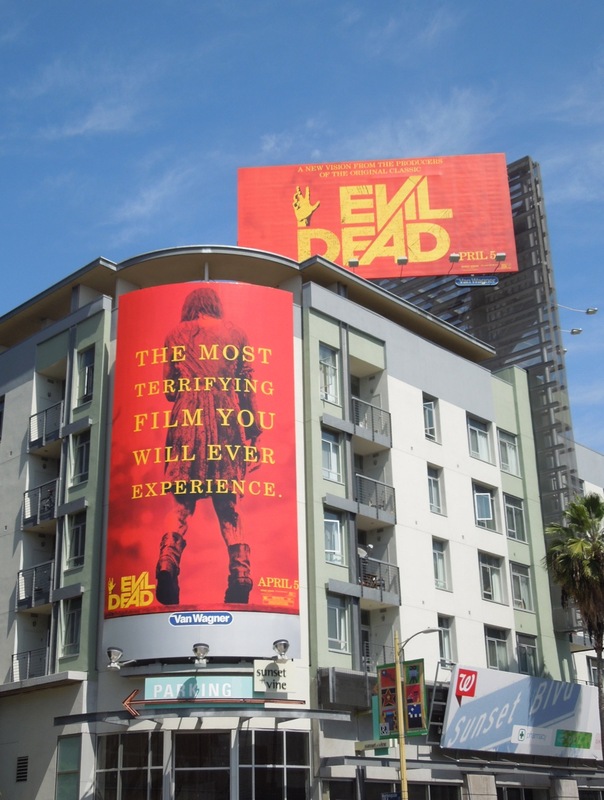 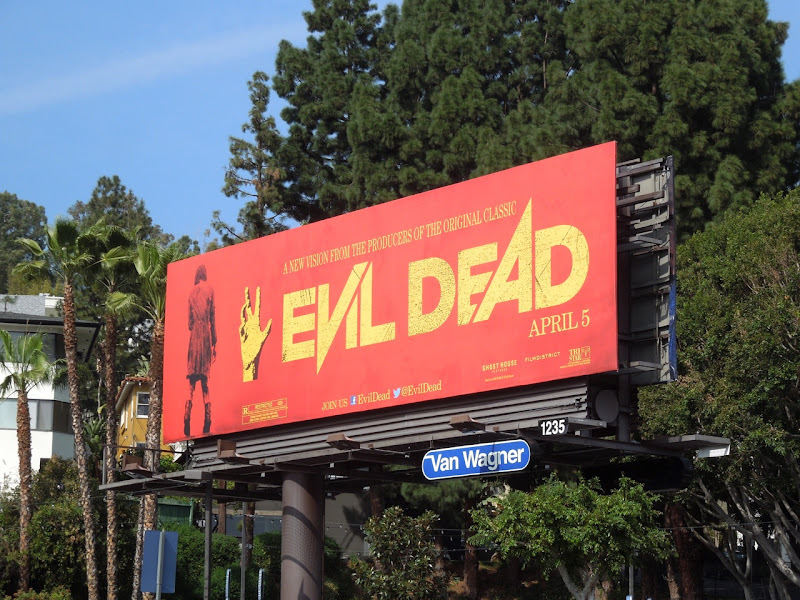 There's nothing like a bold statement and some creepy imagery to capture the attention of passersby, and these billboards for the new Evil Dead remake certainly do that. 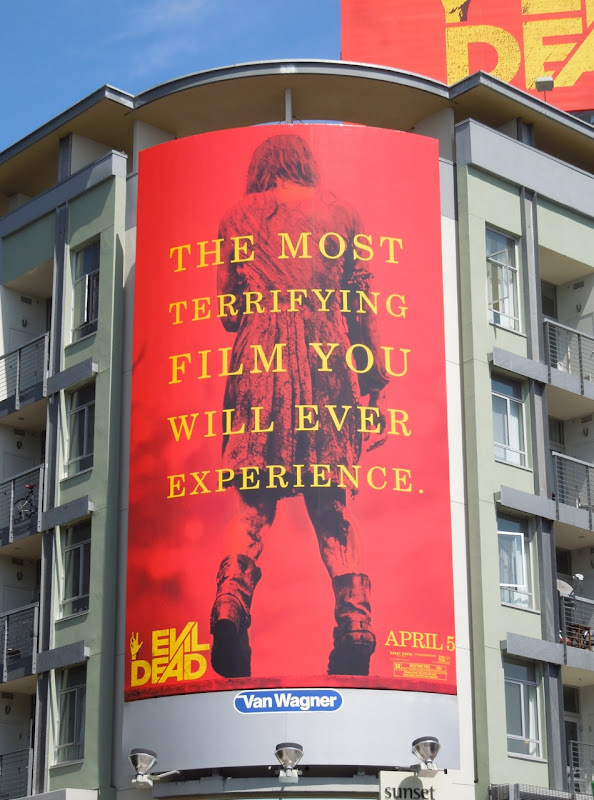 Whether this 2013 version of Sam Raimi's critically-acclaimed 1981 The Evil Dead can substantiate the claim that this is 'The most terrifying film you will ever experience' is yet to be seen however. 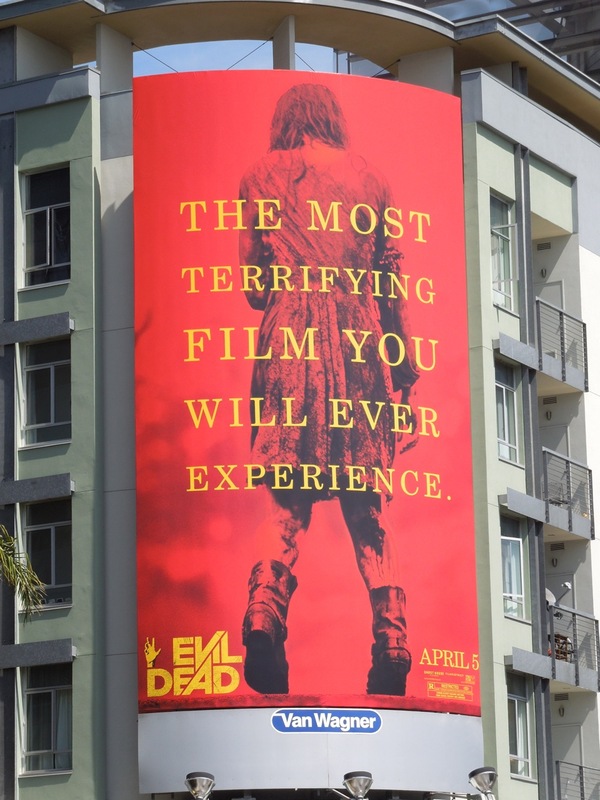 This new imagining of the horror classic follows the now familiar plot, as five friends in a remote cabin unleash evil demonic forces in the nearby woods, until only one is left to fight for survival. 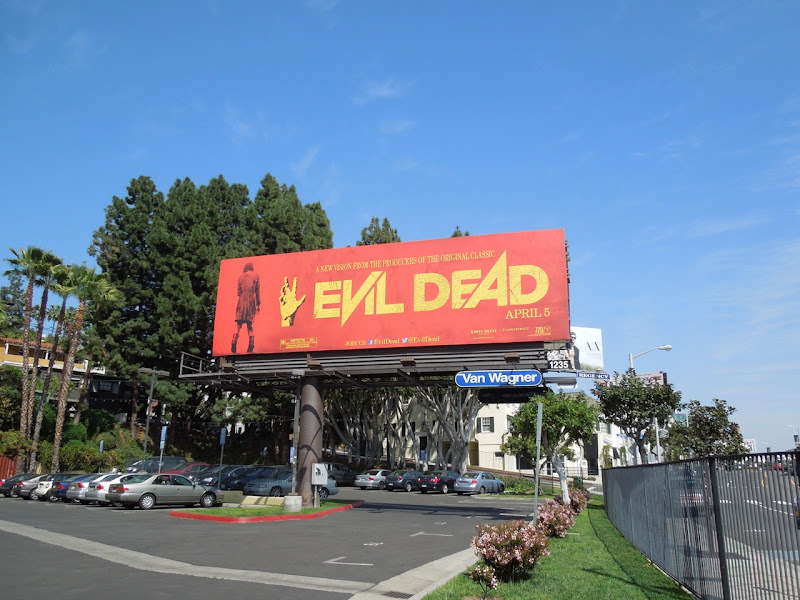 Will old fans and new audiences alike be seduced by the dark charms of Fede Alvarez's Evil Dead, or will the film fall foul of the curse of the Hollywood remake, which has seen many a remake bomb at the box office like The Thing, Fright Night, A Nightmare on Elm Street and The Wolfman, to name a few recent failures. 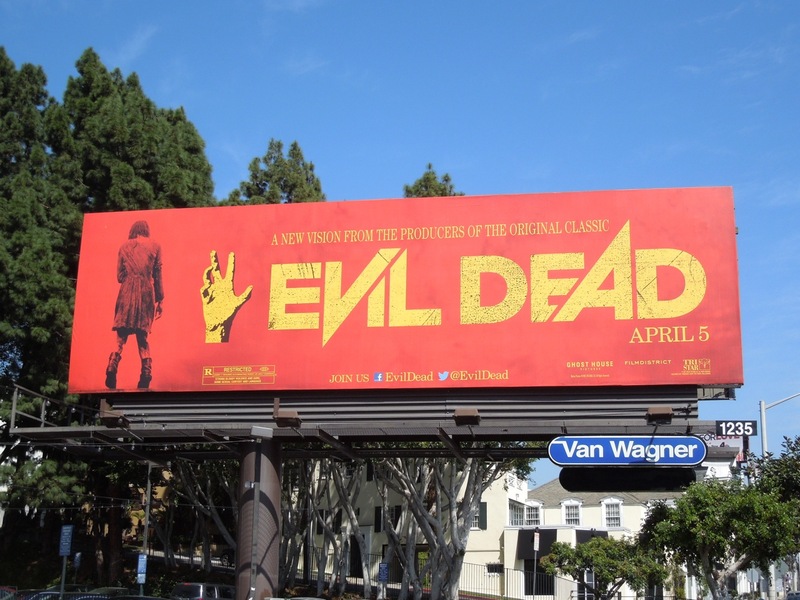 Regardless these billboards are pretty striking and the only negative is that most of these ads replaced another set of red creatives for Halle Berry's 911 thriller The Call, so their impact is slightly reduced in those same locations. 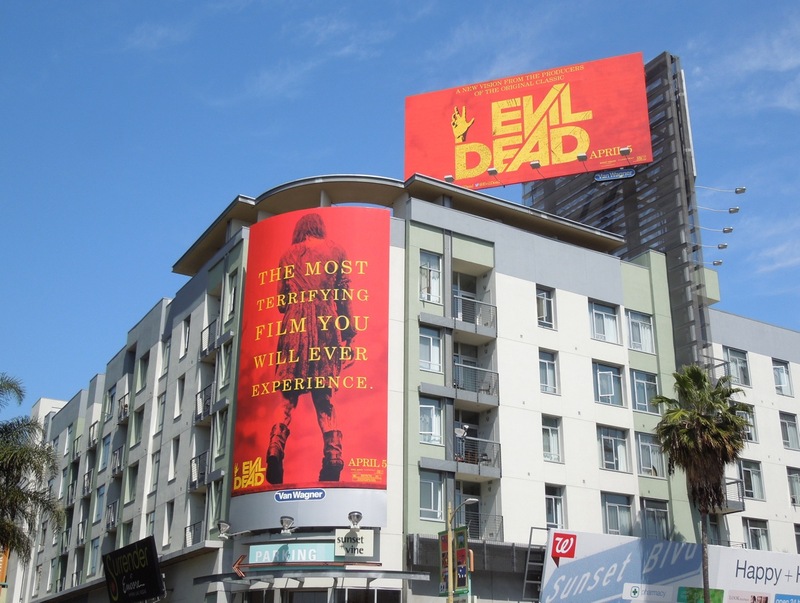 The duo of billboards was snapped opposite Hollywood's Cinerama Dome at Sunset & Vine, whilst the standard landscape billboard was spied along The Sunset Strip on March 21, 2013. 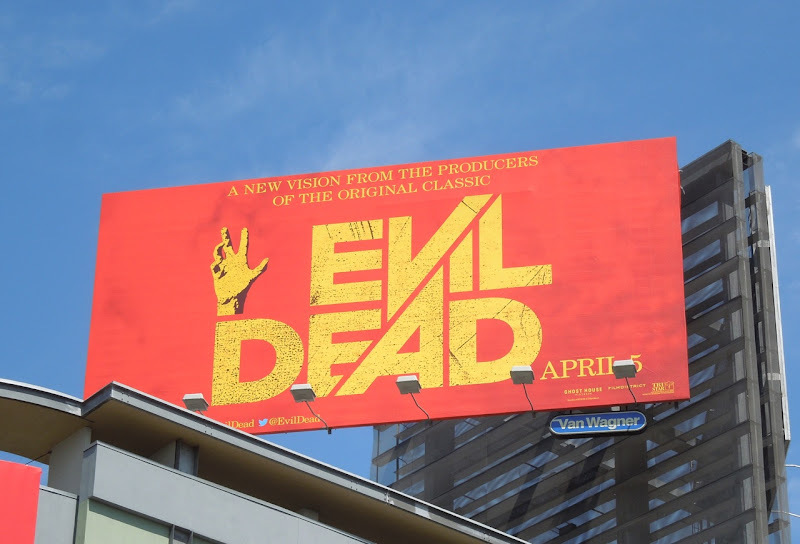 Let's hope Hollywood isn't just recycling old scares and that this film can deliver some new frights to the Evil Dead franchise.